These Teddy Bear sunflowers have done really well this year. We have already taken at least four cuttings from the 4 or 5 plants we have. It seems the more you pick, the more flower heads follow on. 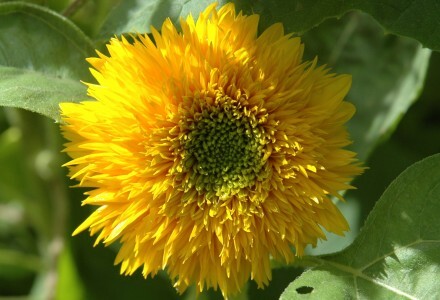 They work well mixed with one or two other varieties of sunflower. They certainly add a really bright cheer to any dull corner.